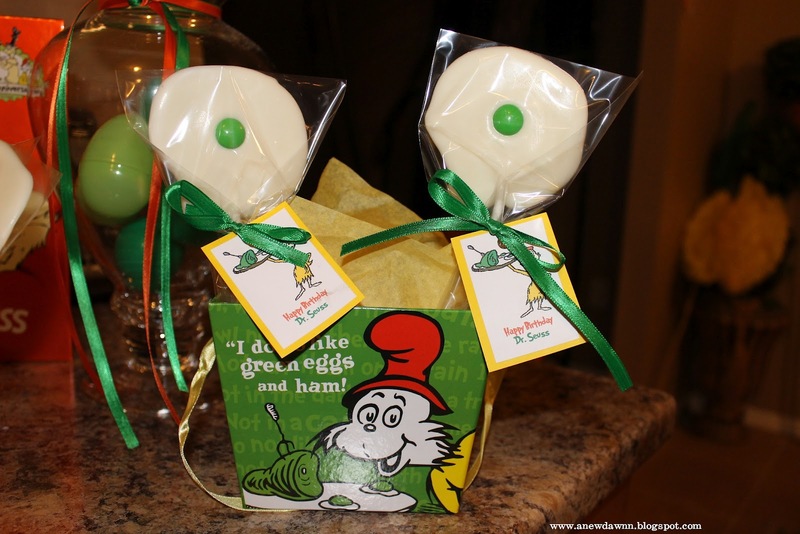 I made a couple of these as a surprise treat for my little guy’s lunch on Friday but he seen it when he came home from school yesterday and he loved it so much he asked me to make them for his class….how could I say no! 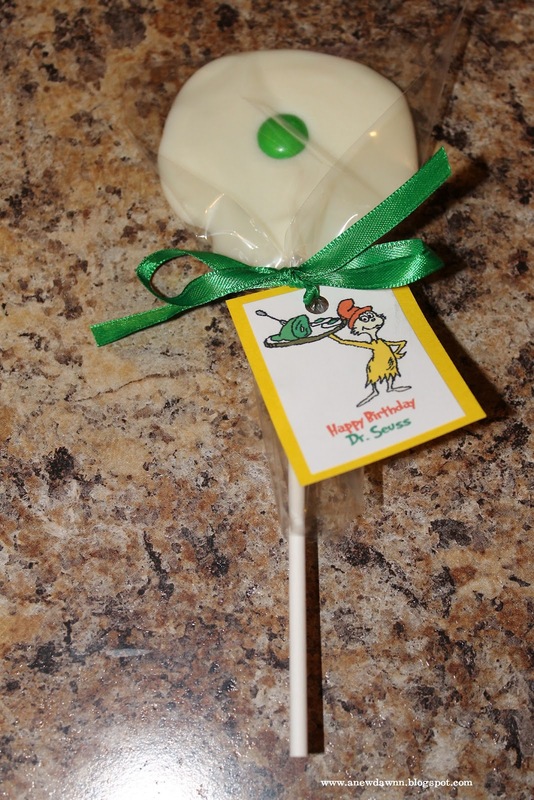 So today I made 25 more of them and printed a little tag to hang off the lollipop that says Happy Birthday Dr. Seuss. These were really easy to make. 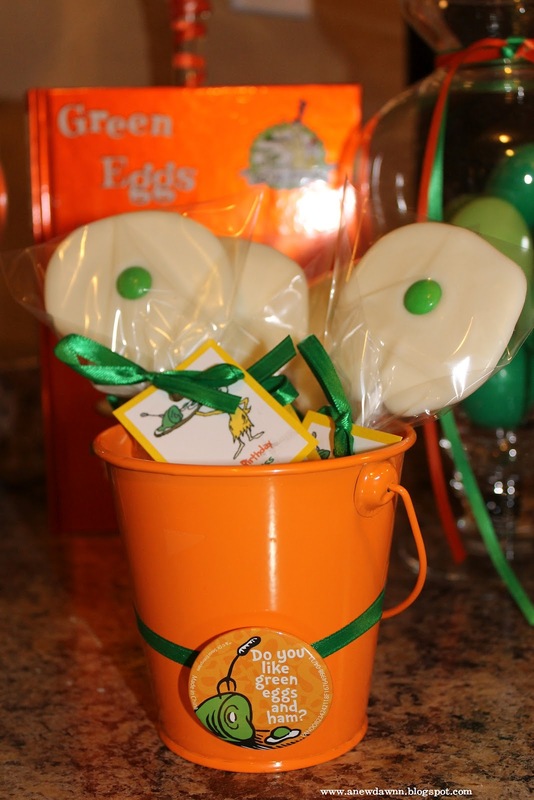 I just used white chocolate candy melts from Michael’s, melted them down and piped them into an egg shape and added a green M&M for the yolk. 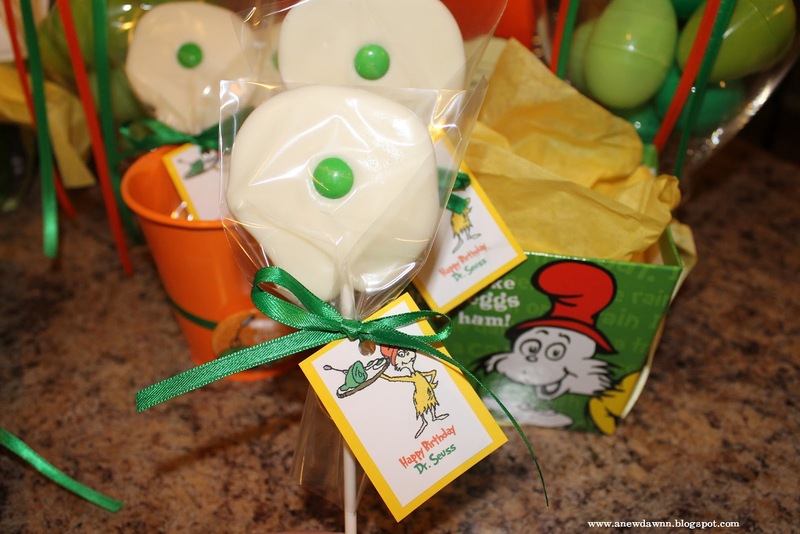 I actually went out today to get green candy melts because I thought they would look much better but was advised by my “customer” (my son) that the m&m was a better idea! I printed out the tags on white paper and glued them to card stock cut to fit. 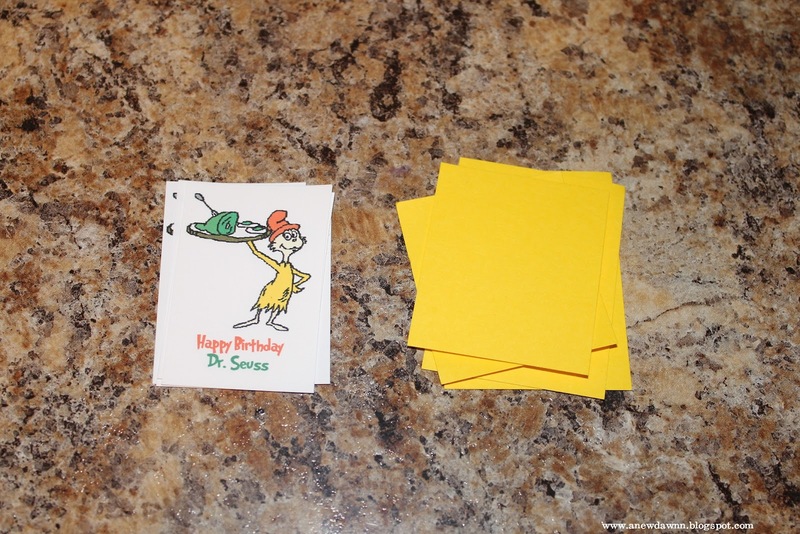 I’ve even included the tags as a free printable at the end of this post. 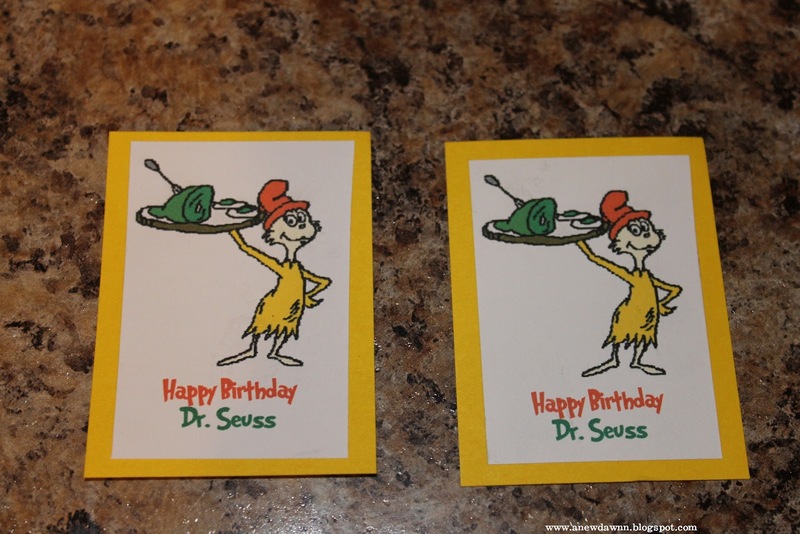 I made mine to say Happy Birthday Dr. Seuss since we are sending them in on Dr. Seuss’ birthday but for the printable I left some blank, some just say Happy Birthday and some say the above so you can use them in different ways. Then I just hole punched the top and tied them on with ribbon. Easy peasy! 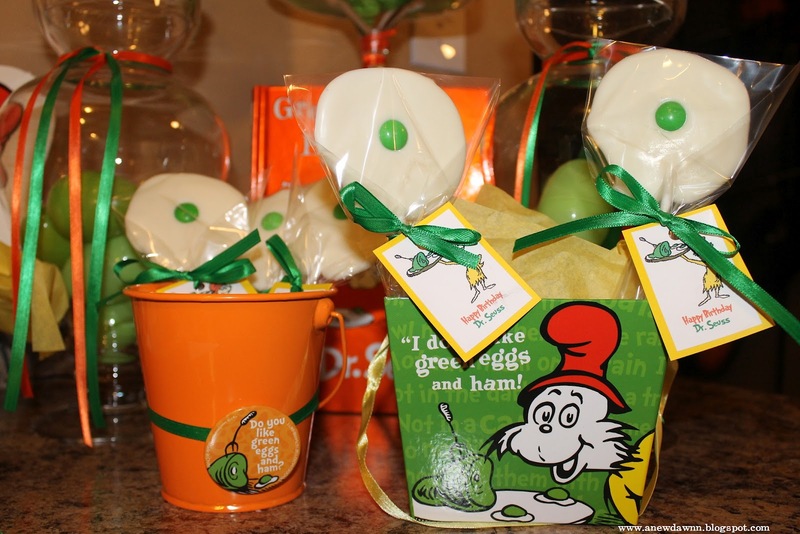 I picked up these adorable containers from Target’s dollar spot over the summer….I hope they bring them back this year!! I just started following you on Pinterest can I please have the tags for green and eggs and ham sent to dayna.taylor@fraserk12.org thanks! Can you please send me the tags? Thanks! Adorable! Followed your blog. Thanks for the printable! I'd love the tags. I just started following you. mbvaughan09@gmail.com. Thank you!